Yes! 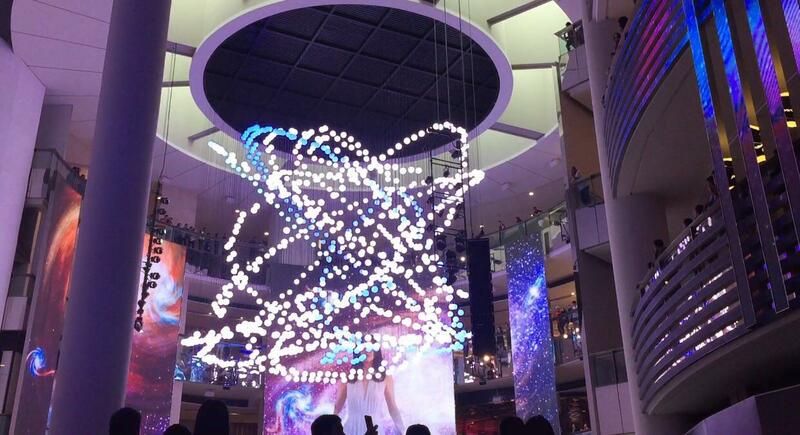 Resort World Genting came up with largest permanent winch installation called SkySymphony and magnificent LED shows at SkyAvenue. 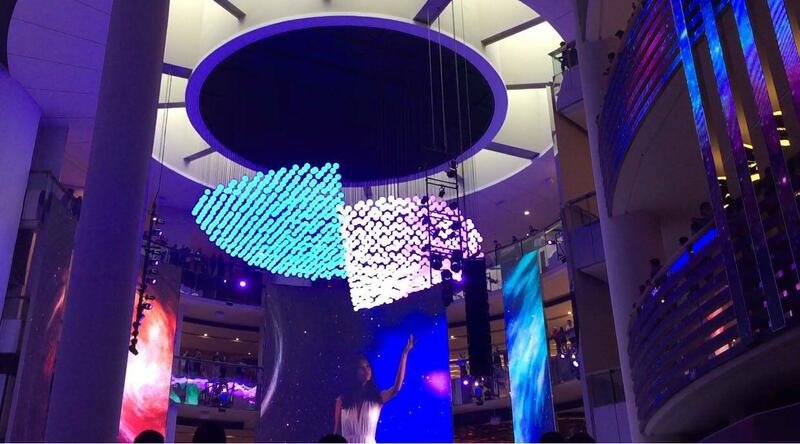 No doubt that the huge atrium at Sky Avenue has been one of the most talked about since late December. 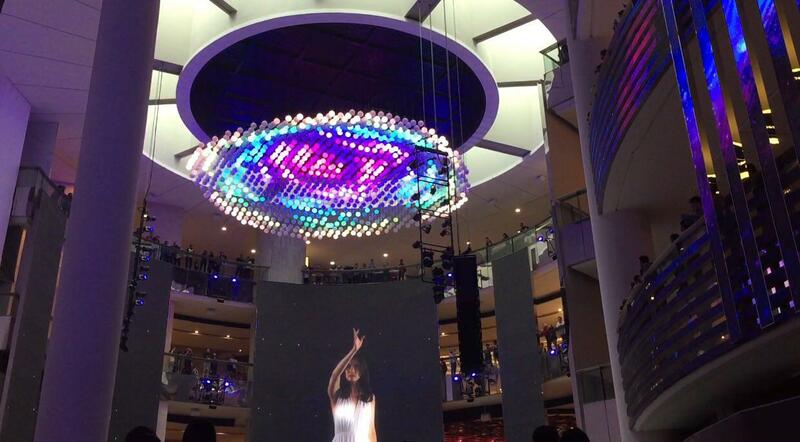 Who will not be amazed at the giant LED screen shows which are said is the biggest in Malaysia if not the world? 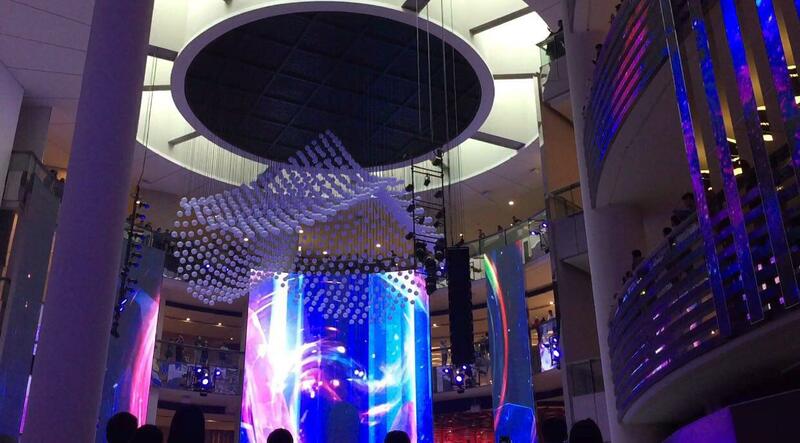 The biggest of these screens is 25m x 12 and it steals peoples attention with panoramic sight and sound presentations. The Sky Symphony winch installation is the only fixed kinetic ball display in the world as most are assembled only as part of limited-run exhibitions. About 1001 kinetic balls form the world’s first electronic art installation which will see storylines projected on the LED screens while the kinetic balls move to form shapes to support the story’s premise or trajectory. 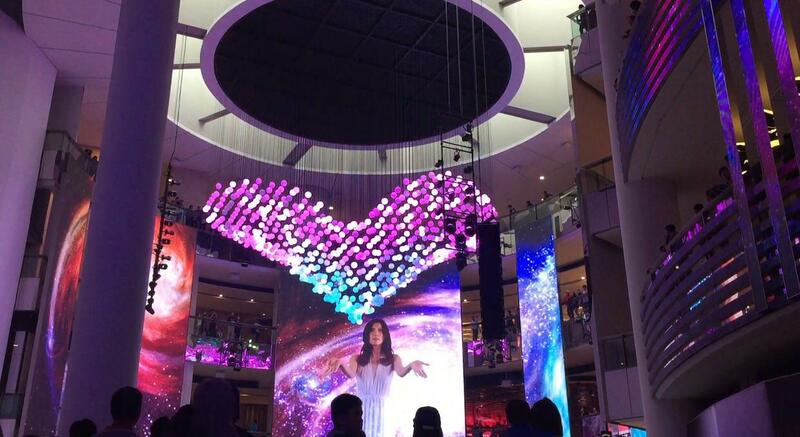 It comes with three visually encompassing video shows which were done by hiring a content designer to design electronic content specifically for the screen called as Forest, Urban Symphony and The Goddess. The Forest is a bioluminescent universe, where endangered species unique to Southeast Asia comes to life. Colourful and fluorescent 3D gesture drawings are used to demonstrate a striking coexistence of these diverse exotic population, including the Sumatran tiger, Bornean orangutan, Asian elephant, Sumatran rhinoceros, and the hornbills. While the Urban Symphony showcases the daily chores from waking up to going to work. A light-hearted take on life in the big city is part of the show paired with a jolly selection of music, adding a new groove to the daily grind. The presentation was really breathtaking as you would not be able to guess what is going to happen next. It was fast moving and rather captivating. You will not even realise that the time is actually moving. I regretted because I felt it ended real fast though it was ongoing for few minutes. The audio was really clear that it added more quality to my experience. A great music, amazing visuals and magnificent kinetic ball movement. What else do we need to be awed? Shows are scheduled throughout the day, with different presentations on a rota. It starts from 10 am to 6 pm with every two-hours intervals. After 6 pm, the show will be available hourly until midnight. For more information please visit www.rwgenting.com.